Here is the list of 5 unique whiteboard animations that you can find on Fiverr, recommended for those who want to have something different for their presentation and business promotion purposes. The videos use different hand from what you can see there at most of the gigs sold. And the most important thing, it uses custom drawing, no library images! 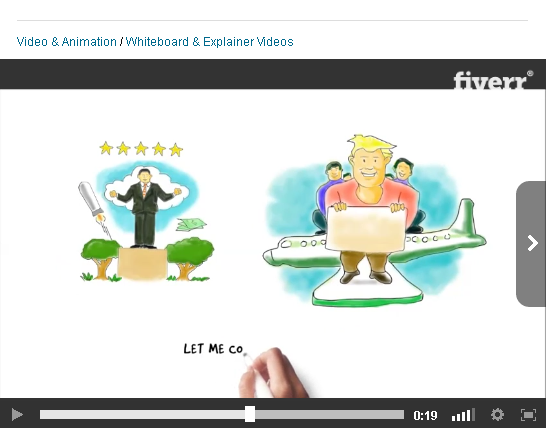 If you go to Fiverr, nearly all of the whiteboard videos look or go on the same style as the hand is taken from the same software and the images are too, in addition to this, among the gigs there, the sellers provide the same bundle of stock images if these are not available in their software library. For cheap rate you will have something common and so so, and to make it stand out from the crowd, off course you need a custom drawing one. Just in case you want something fun and viral these 5 unique videos are highly recommended, you can choose either one of them. Whiteboard animation is effective to boost your sales and it would be better to present your business using original source. Since it is visual and animated, off course, it's gonna be fun. People of all age like video. Rather than thinking seriously of such business promotion with glossy screen, they feel entertained. They may get a sheet of paper and put an idea there. The doodle might lead to the first answer to how effective it is to promote your products through this media. If you upload the video on YouTube such a thing might be viral, depending on how you make up your video. 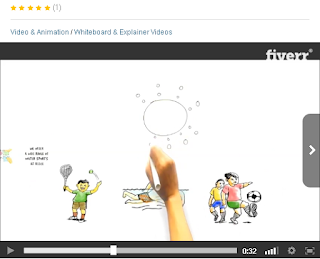 It is what most people use today instead of using conventional presentation like PowerPoint and so on. If you hate thinking long about a boring presentation, static charts or diagram or bullets, you may try this media to get as much as costumers you want. 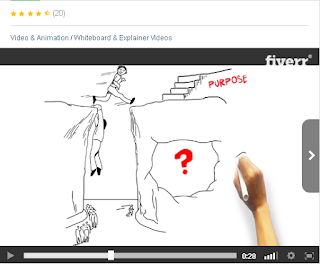 Okay, guys, that's all; consider these Unique Whiteboard Animations below where you can find on Fiverr.com to match your homepage color theme or business sense as you can embed it anywhere you like. 4. Colorful Video Explainer, here it is! Good luck, see you on Fiverr!